These curious monkeys tend to love cameras and often are ready to take a selfie! 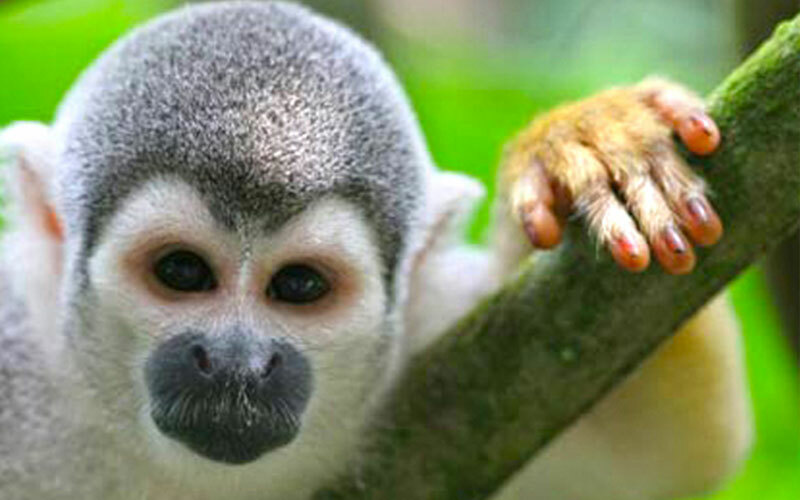 The squirrel monkeys live in the tropical forests of Central and South America. Its fur is short and close with coloured black at the shoulders and yellowish orange on its back and extremities. Their throat and ears are white and their mouths are black and are equipped with a long hairy tail. The upper part of their head is hairy. They tend to grow from 25 to 35 centimetres long with a 35 to 42 centimetre tail.